The State Government continues to refuse to run any open public consultation on its controversial proposals to dismantle our local heritage protection system. 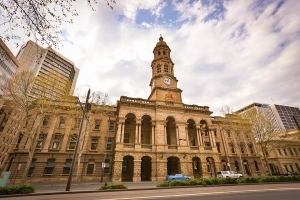 However, the Lord Mayor of the City of Adelaide, Martin Haese, has called an open public forum on local heritage at the Adelaide Town Hall on Monday 26th September from 6pm-7.30pm. This is your chance to let the government know how you feel about its proposals to remove local heritage decision making from local communities and councils and to make it easier to remove heritage protections and demolish buildings that are currently heritage listed. It may be the last chance for you to be heard in the debate on the future of our local heritage that the government won’t allow. We strongly urge you to make the effort to attend this meeting, to bring other interested and concerned people with you and to make sure that your voice is heard. The meeting starts at 6.00pm, but we encourage you to arrive as early as possible and to consider your questions for the discussion in advance. Please email us at heritagewatch@nullnationaltrustsa.org.au or call the National Trust on 8202 9200 if you have any other questions. We urge you to read the Government’s Discussion Paper (here) and the National Trust’s initial response. Like us on Facebook at www.facebook.com/loveyourlocalheritage and tell us about the local heritage places you love. Now is the time to make your voice heard! If we allow the Government to loosen restrictions on demolition of heritage places, we will lose a whole lot more. What we need are stronger protections, not weaker ones. We should not pulling down old buildings. I would like us to continue to be putting more into our green spaces. Adelaide is known for it’s beauty. Indeed Skye. Why would you set out to destroy what makes a city unique? Madness! We have a massive heritage precinct at Port Adelaide, that if developed in an appropriate manner (as proposed by architects Mc Dougall and Vines) and as written in a major report by me, could see it become a world-class attraction – something Adelaide desperately needs. There are more heritage buildings in Semaphore and Port Adelaide than The Rocks in Sydney. Why are we so focused on building boxy slums instead? 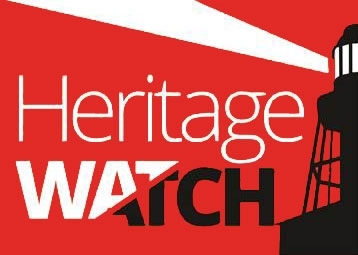 Congratulations to the National Trust of SA on this heritage watch website. I am sure that it will build up into a potent force for good in the area of town planning and heritage protection over time. I tried but could not find the Facebook site.